Plant bacterial diseases are a major factor in economic crop losses worldwide. The transportation and use of clean, pathogen-free seed and propagative material is the most vital step in controlling bacterial diseases, but this requires accurate, rapid, sensitive, and reliable pathogen detection. 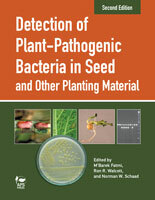 The all-new second edition of Detection of Plant-Pathogenic Bacteria in Seed and Other Planting Material is an essential, easy-to-use lab manual describing and illustrating the latest methods for detecting a wide range of bacteria responsible for many of the world’s most economically significant bacterial plant diseases in crops. 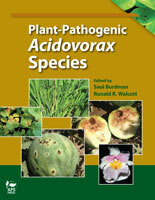 Yet this book does more than describe and illustrate the use of real-time PCR, rapid PCR-based assays, and other methods for specific, sensitive detection of bacteria in seed and propagative material. 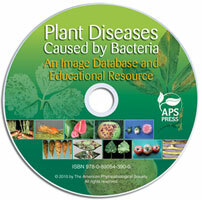 Its 48 chapters offer background information on the given bacteria and the diseases they cause, describe symptoms, detail their epidemiology, identify strategies for disease management, and provide protocols for detection in thorough detail. 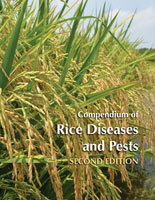 In addition to serving as a vital resource for seed companies, quarantine operations, and diagnostic labs, this book is an excellent laboratory guide for classroom instruction. It can also help facilitate rapid technology transfer in developing countries, where opportunities to receive training in this important field are rare.